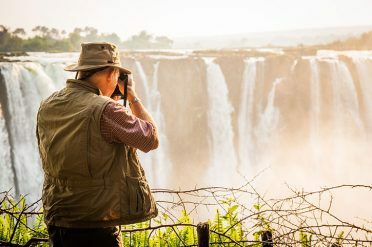 Combine Botswana’s great wildlife areas of the Okavango Delta and Chobe National Park with the majesty of Zimbabwe’s Victoria Falls. On arrival in Maun board your light aircraft for a scenic flight over the Okavango Delta to Gunns Camp to start the Okavango and Chobe Adventure. Over the next three nights experience this watery wilderness by makoro and 4WD vehicle, looking out for the abundant game. 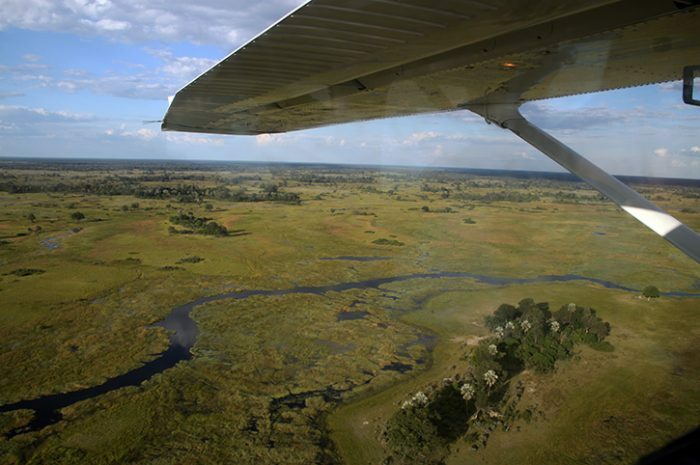 The big cats can be found here as well as hippo, elephant and prolific birdlife to name a few. Today board a light aircraft for the flight to Kasane. Flying low over the delta be sure to look out for game as you go. On arrival, you will be met at the airport and transferred to Chobe Bakwena for a two night stay. 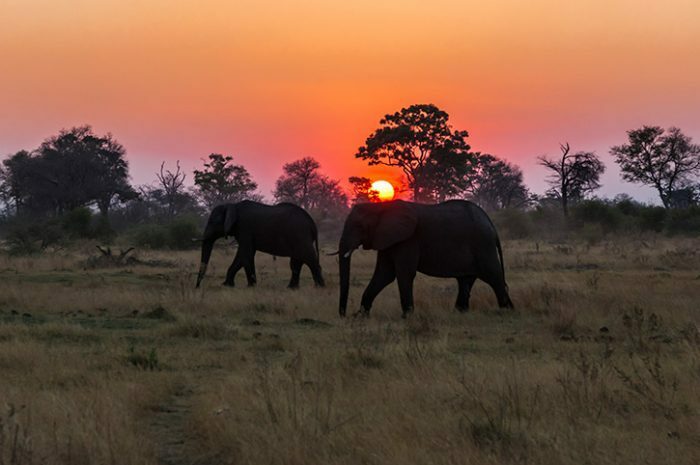 From here, explore Chobe National park on game drives and also enjoy a river cruise culminating with a beautiful sunset. 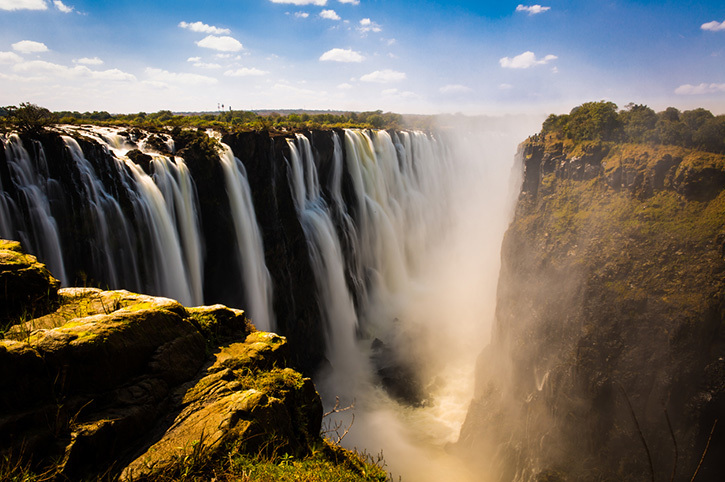 You will be picked up today from the hotel and taken across the border into Zimbabwe to see one of the wonders of the natural world – Victoria Falls. 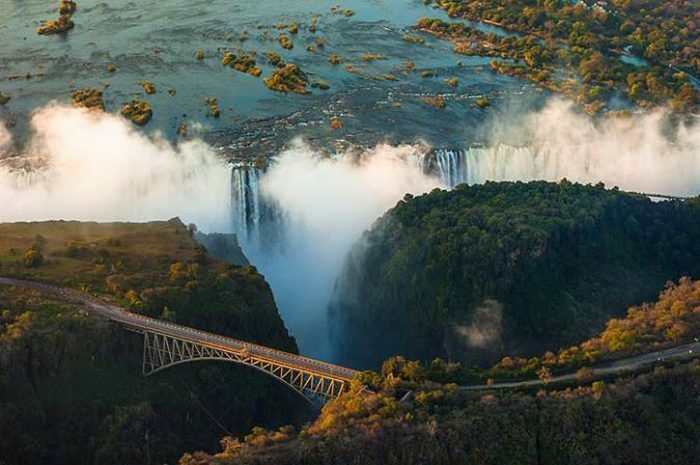 Watch in awe the sheer volume of water cascading into the gorge below. A tour of the falls is included as well as a sunset cruise on the Zambezi. You will spend the next 2 nights at the beautiful Victoria Falls Safari Lodge.